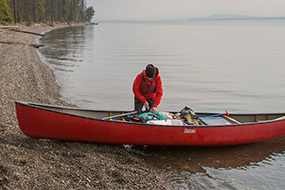 Our river and touring trips run all over the country and include coach led expeditions and peer paddle trips. To find out more about the trips being run, contact the event organisers. These trips are family friendly. If you would like to bring non-paddlers, please make sure that they are competent swimmers if they are coming on the water in your boat. River paddle. Meeting at 10.30. Get in touch with Rick if you want to find out more. Got an idea for a trip? Want to organise one? Our next trips meeting will be at Paul’s house. If you can’t make it please do contribute your ideas by email beforehand. Contact Paul Jeffs for more information. Tea, coffee, and biscuits will be provided. This trip has proved very popular. Brian is working on finding another coach to cope with the demand. Do still let him know that you are interested if you already haven’t done so. Also, let Brian know if you are (or know of) a coach that may be willing to assist. In the event that a coach cannot be found, then sadly the trip will be on a first-come, first-served basis. At last I have been able to put together a plan for a sea trip off the Gower Peninsula. The campsite, Skysea – Port Eynon. You will note that they do not accept groups. The rule will be waived in our case! Feel free to book yourself in but add the letters “KC” after your name (denotes kayak club). Cost / night: Tent + 2 : £25 Really big tent : £30. EHU available at extra cost. Indoor accommodation available right next door at the Youth Hostel. There is more luxurious accommodation available, such as The Rickyard B&B. Hearty evening meals available at the Ship Inn. Saturday 22 June: Have a good shakedown paddle in the afternoon: Paddle out to Port Eynon Point. Surfing / rock dodging, depending on conditions. Observe the strength of the tidal stream at Port Eynon point! Option to arrive Friday if you wish. Sunday 23 June: launch 9am, arrive Oxwich Bay 11am, option to paddle on a bit before turning back and landing by hotel. Perhaps some folk would prefer to be self contained and not have lunch in the hotel. This would save having to hike all the boats off the beach and park them in the hotel garden for security. We would have all afternoon to enjoy the overfalls off Oxwich point and return to Port Eynon. (7Km each way). If the weather conditions/sea state are poor on the day, it should be possible to just explore Port Eynon Bay itself. If weather is really bad, there is an excellent coastal path to Oxwich Bay. Paddling standard: Confident 2* and above, please. Full size sea kayaks only.